Atlanta Group should book this tour. 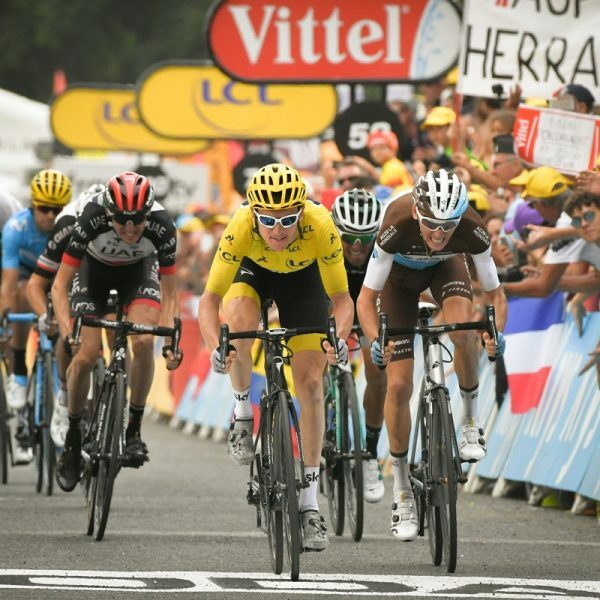 The 2019 Tour de France has an unprecedented number of high altitude finishes and it will be the 100th anniversary of the iconic Yellow Jersey. 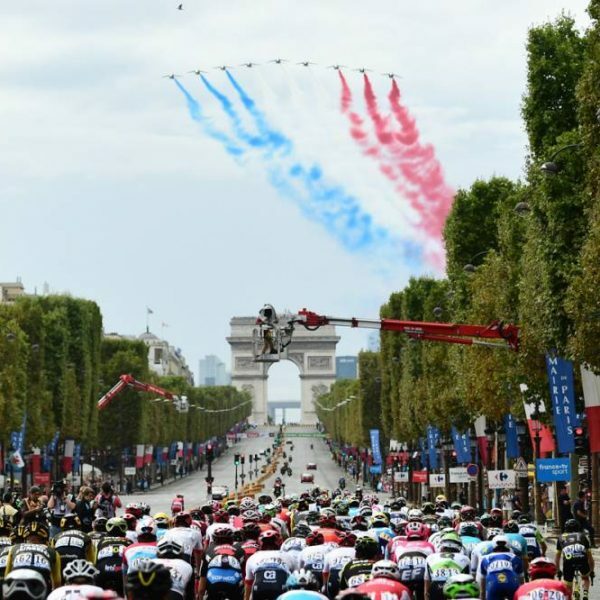 Join us as we follow the Tour de France from Nimes into the Alps and to Paris. 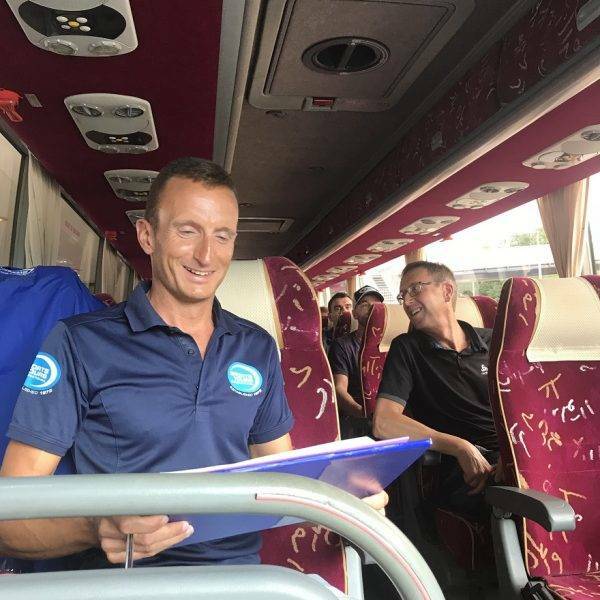 Your tour includes 8 nights with breakfasts and evening meals included and 1 night in Paris on departure on bed and breakfast basis. Transport on our customised tour vehicle with bike trailer, the services of our team of hosts and bike guides, pre-planned guided rides are also included. 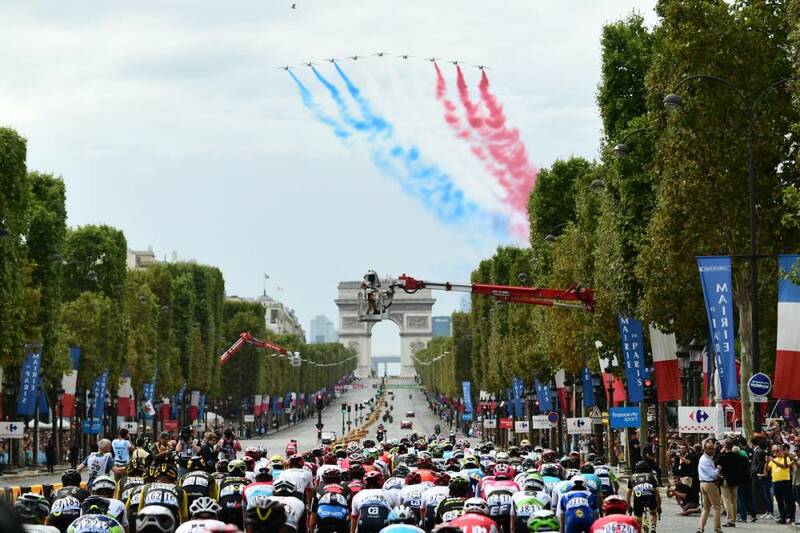 Bike rental and hospitality tickets on the Champs Elysees are also available. Our tour starts in Paris where we will collect you from Paris Charles de Gaulle Airport. 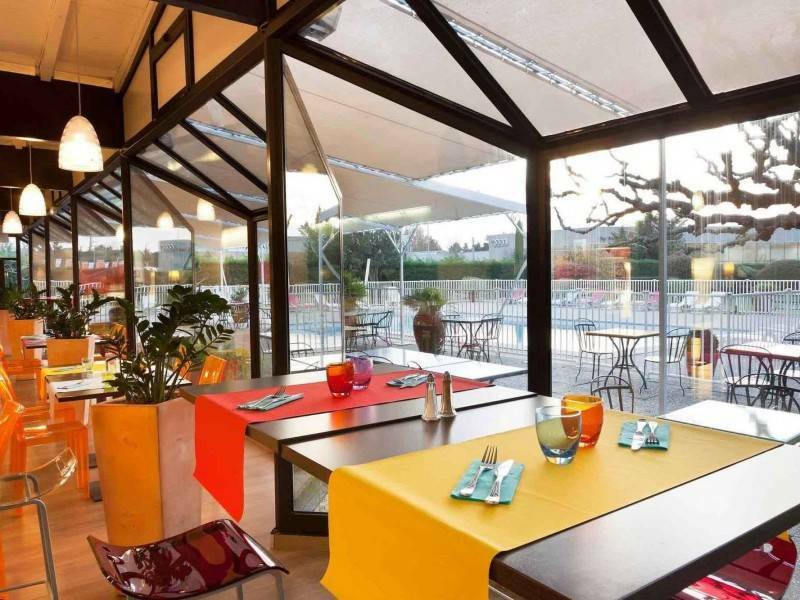 You will take the TGV to Avignon where we will stay for 4 nights. 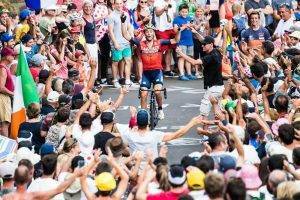 Avignon is perfectly located for access to Mont Ventoux plus the Tour stages around Nimes. 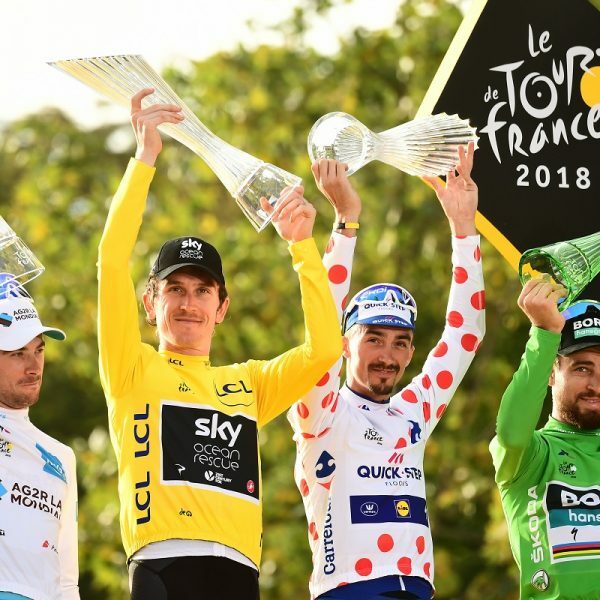 After Avignon, we will move with the Tour de France into the Alps where we will stay for 4 nights at the Spa resort of Brides Les Bains right in the middle of all the action before taking the TGV back to Paris for the finale of the 2019 Tour de France on the Champs Elsysees in Paris. 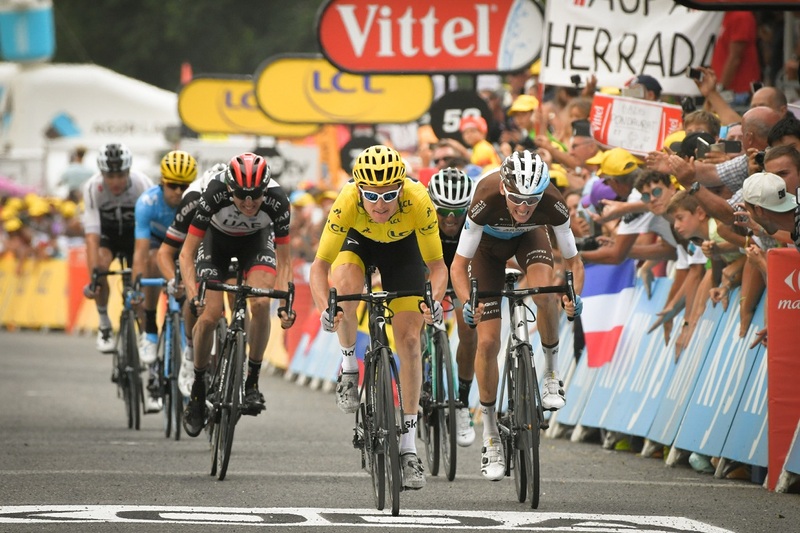 After the action in the Pyrenees the riders of the 2019 Tour de France will have their rest day before a stage with start and finish in Nimes. 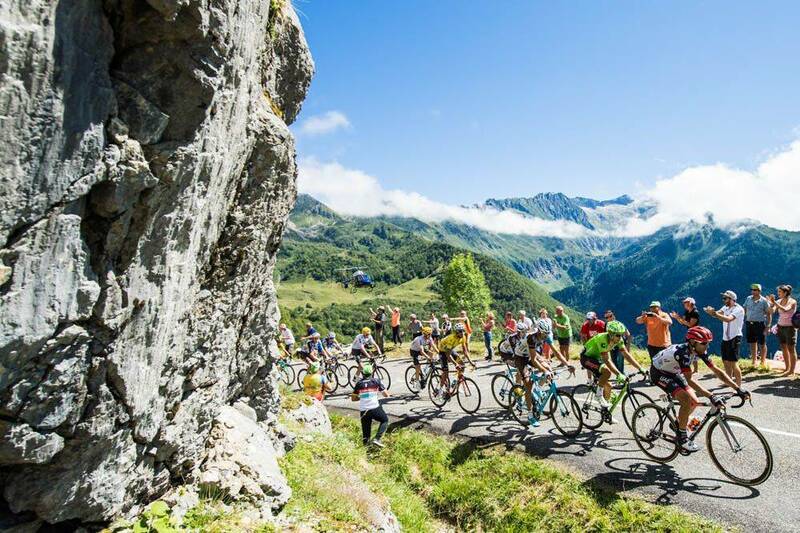 The Tour then moves into the Alps with a long stage to Gap before 3 Alpine mountain stages. 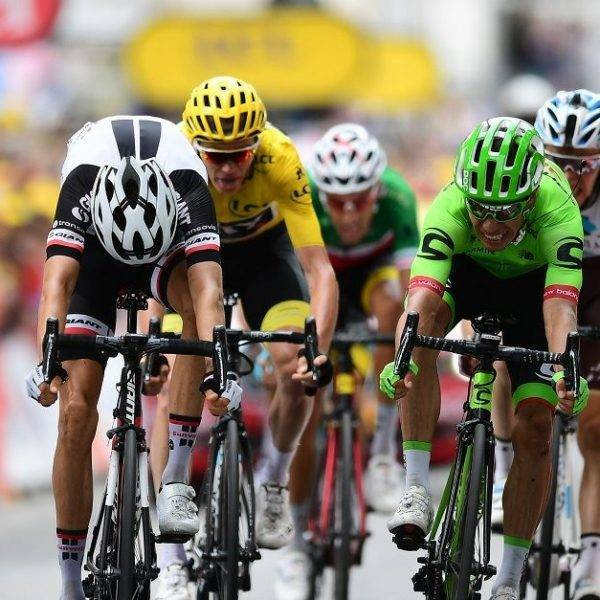 The 2019 Tour de France will have its high altitude finale in the Alps in 2019 with 3 tough stages and iconic climbs like the Col du Galibier, Col d’Iseran, Cormet de Roselend and the climb to Val Thorens up to 2350 metres of altitude. 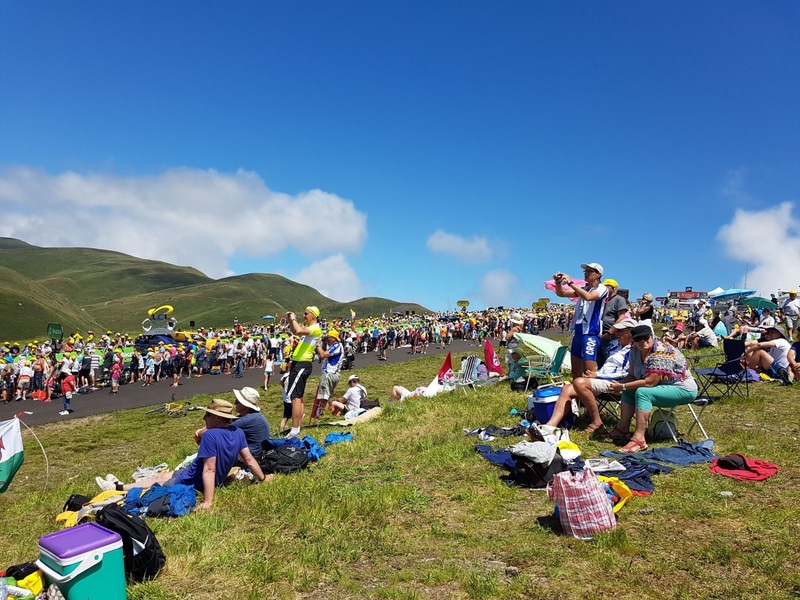 Daily transport, the official 2019 Tour de France road book is included as well as official TDF merchandise and exclusive VIP access tickets to watch the Tour from up close. Bike rental is also available if you don’t want to bring your own bike. 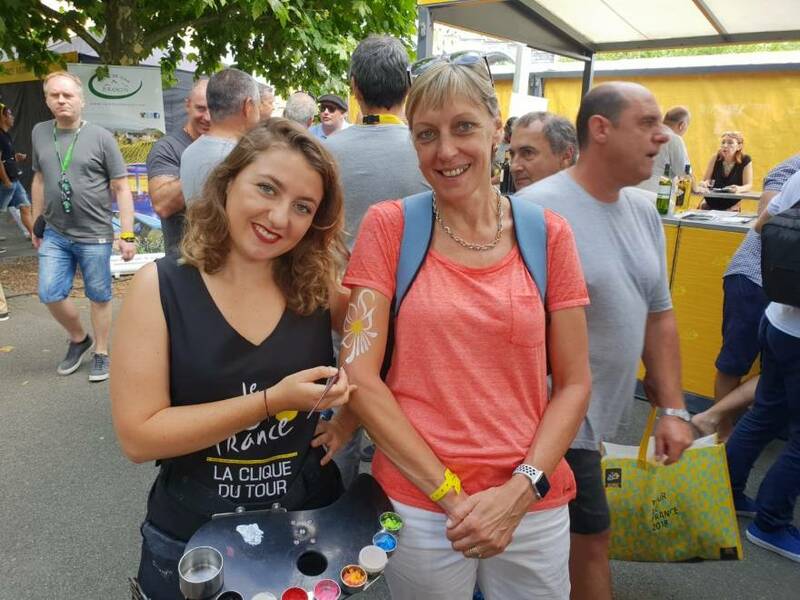 If you book bike rental with us then your bike will be delivered and fitted on arrival in Avignon on the Saturday afternoon so you are ready to ride on Sunday. 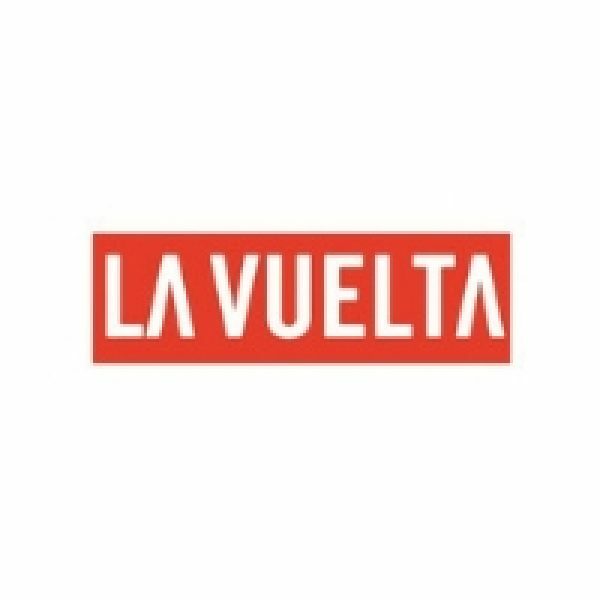 You will need to bring your own pedals, shoes, clothing, helmet, water bottles etc. and a tool kit, spare tube, small pump are included with the rental. 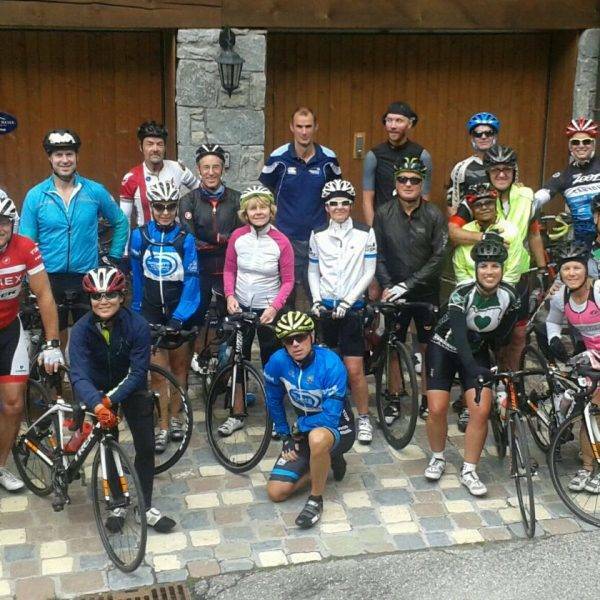 The bike will be collected in brides Les Bains on the final Saturday of the tour after your last ride. Below are the available bikes but note that we can also offer more premium road bikes on request. Prices below are for the duration of the tour and include insurance excluding damage or theft resulting from abuse or negligence by the renter. After the rest day in Nimes, today’s stage is a 177km flat loop in and around Nimes. 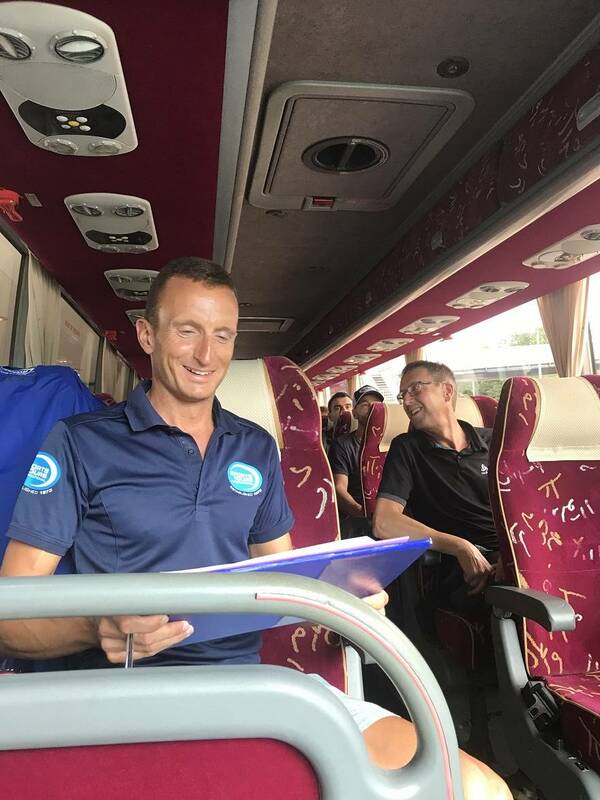 The riders have the privilege of riding on the Roman viaduct, the Pont du Gard on the final section of the stage which should make for some stunning images. 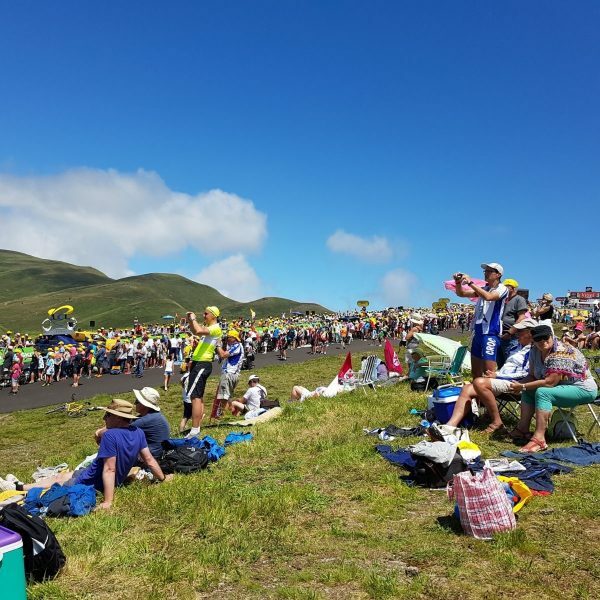 The stage will no doubt finish in a bunch sprint as the terrain does not favour a break away today. For today’s stage start we are 25km from Nimes at the Pont du Gard, the Roman aquaduct across the River Gardon. The Roman theme continues with the visit of the famous Roman Theatre of Orange and the aptly named Vaison-la-Romaine. 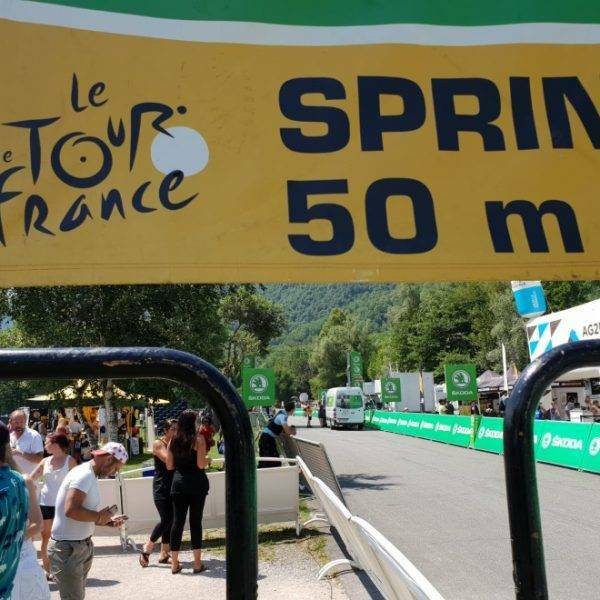 The Col de la Sentinelle comes at 10 kilometres from the finish and from past performances we expect a break away to win. 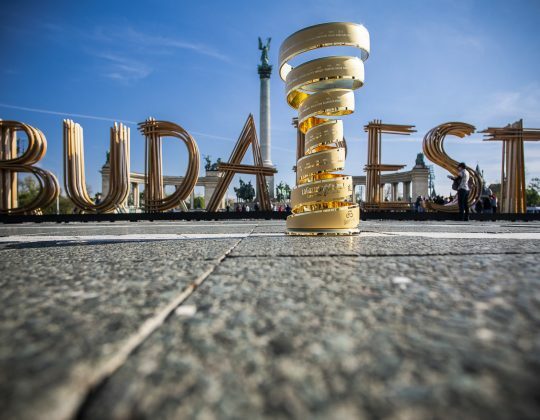 The last 3 stage finishes in Gap ended in solo victories: Thor Hushovd (2011), Rui Costa (2013) and Rubén Plaza (2015). 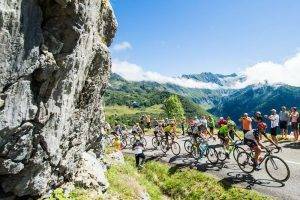 Our location in the Spa resort of Brides Les Bains allows us great cycling access to the final 3 stages of the 2019 Tour de France in the Alps as the riders build up to the ultimate finale at high altitude in Val Thorens. 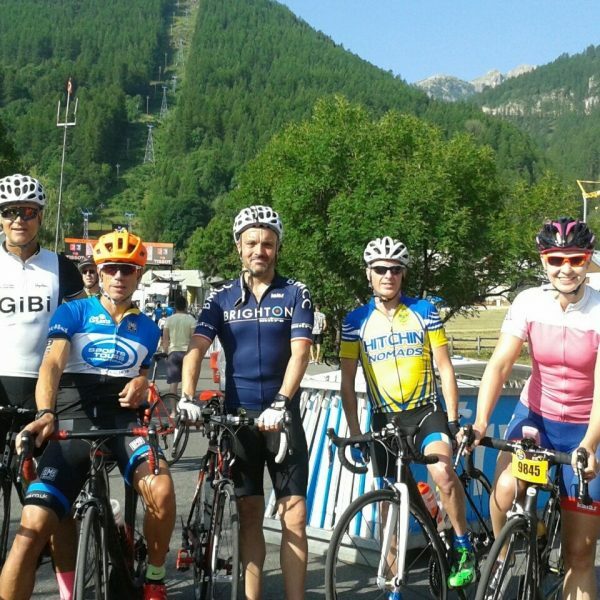 On Thursday we will ride over the Col de La Madeleine into the Maurienne Valley and up the Col du Galibier to see the finish in Valloire. On Friday we will ride straight out from the hotel to Tignes to watch the finish of the stage. 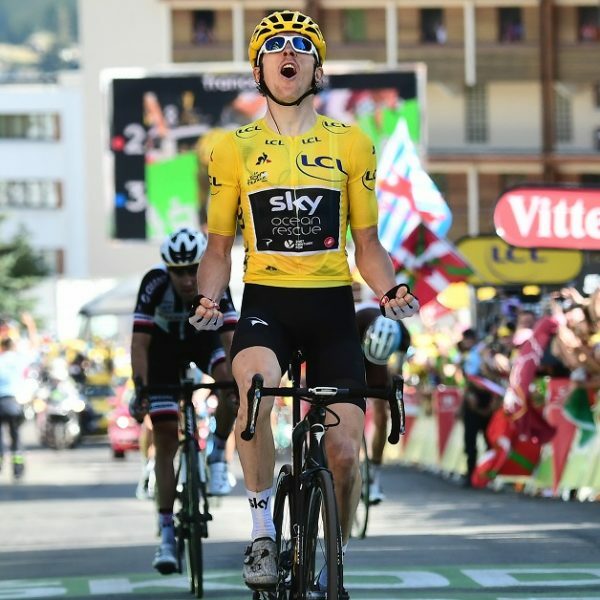 And finally on Saturday we will ride up to Val Thorens to watch the riders finish and the winner of the 100th Yellow Jersey will be crowned. 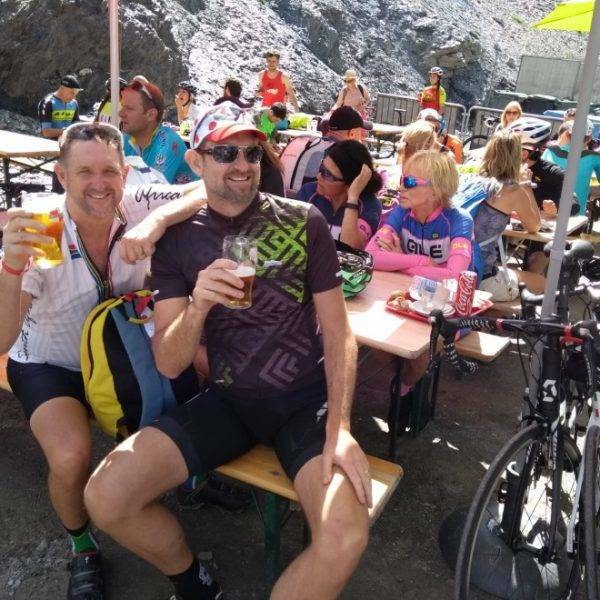 An absolute Alpine corker today with climbs up the Col de Vars, Col d’Izoard and the Col du Galibier before a downhill finish to Valloire. 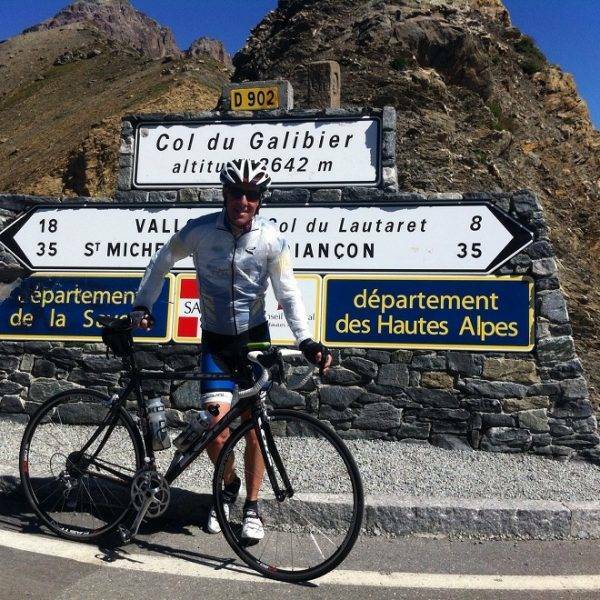 The Col du Galibier is the final climb of the day and it measures 23 kilometres with an average gradient of 5%. 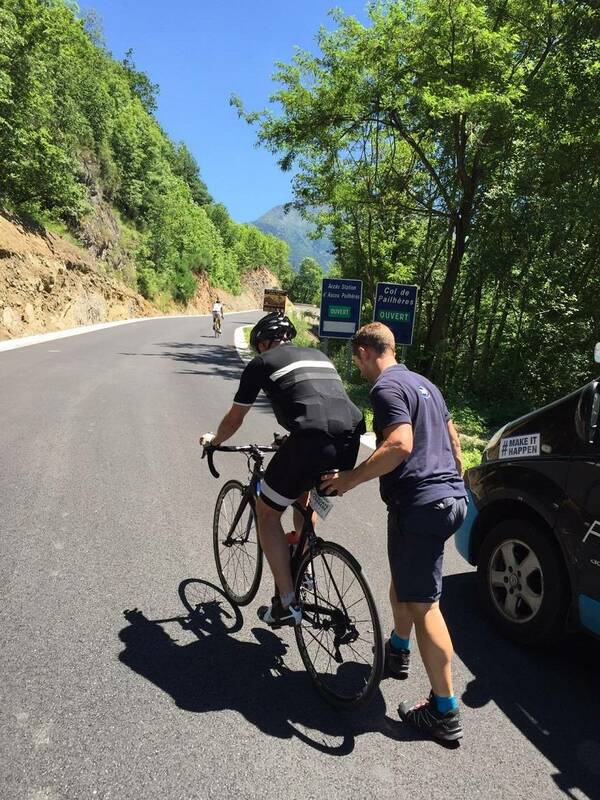 The first section is technically the Col du Lautaret and gradients are fluctuating between 4 and 5%. 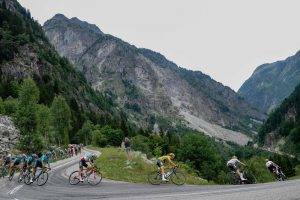 The remainder of the Col du Galibier fluctuates between 7 to 8% with a final kilometre going up to 9%. 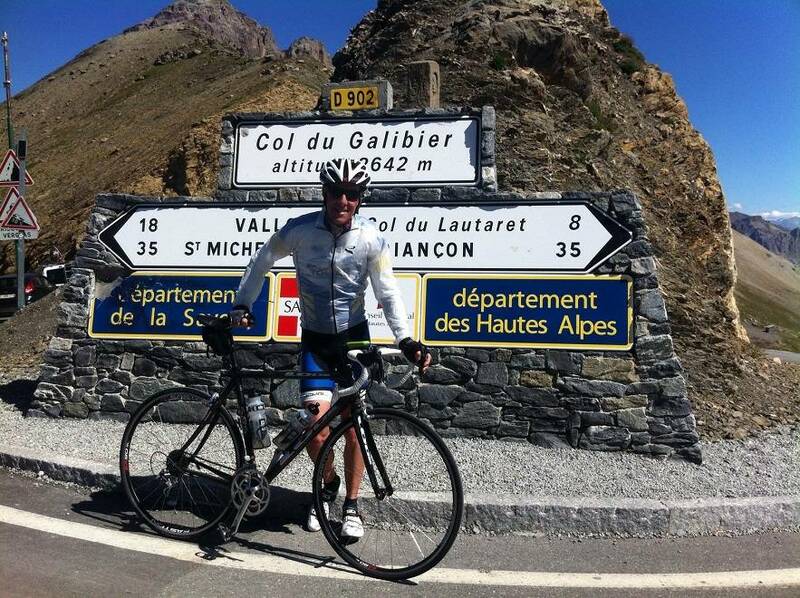 After the top of the Galibier it’s a fast descent to the finish in Valloire. 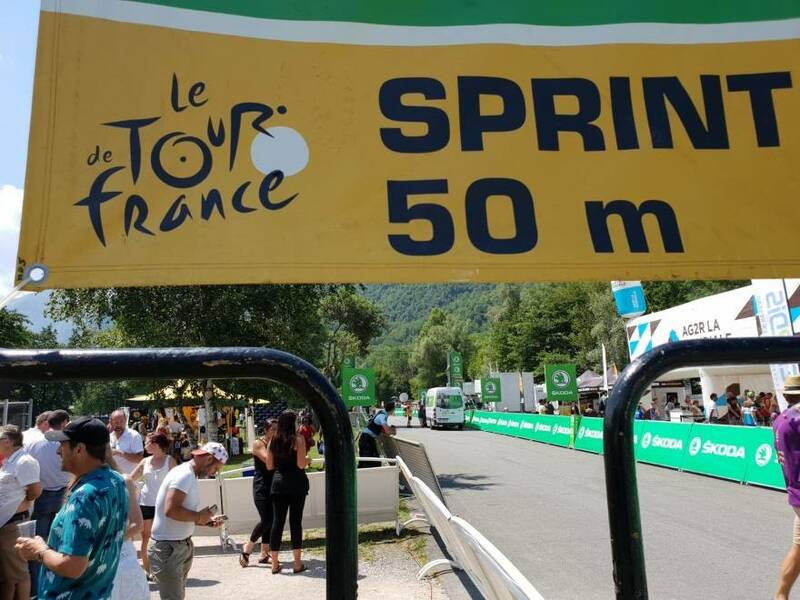 From today’s start in Saint Jean de Maurienne the first real hurdle is the Montée d’Aussois after almost 40 kilometres and from there the route move through Lanslebourg-Mont-Cenis and the Col d’Iseran which is a climb of nearly 33 kilometres with a fairly easy average gradient of 4.2% that ramps up to double digits in the final kilometres. Following the descent to Val d’Isère the only tough part is the 7 kilometres at 7% to Lake Chevril before the last 2 kilometres to Tignes. 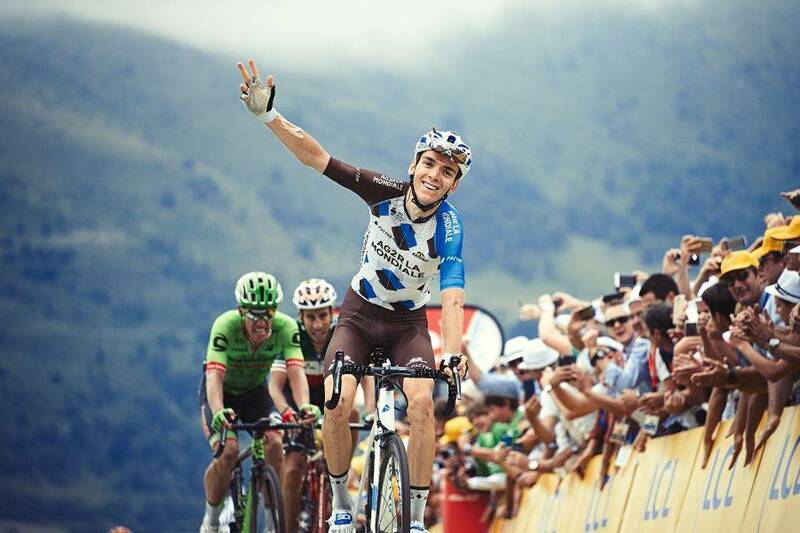 Like last year’s Stage 11, this stage starts in Albertville and the riders will tackle the Cormet de Roselend before descending into Bourg Saint Maurice. 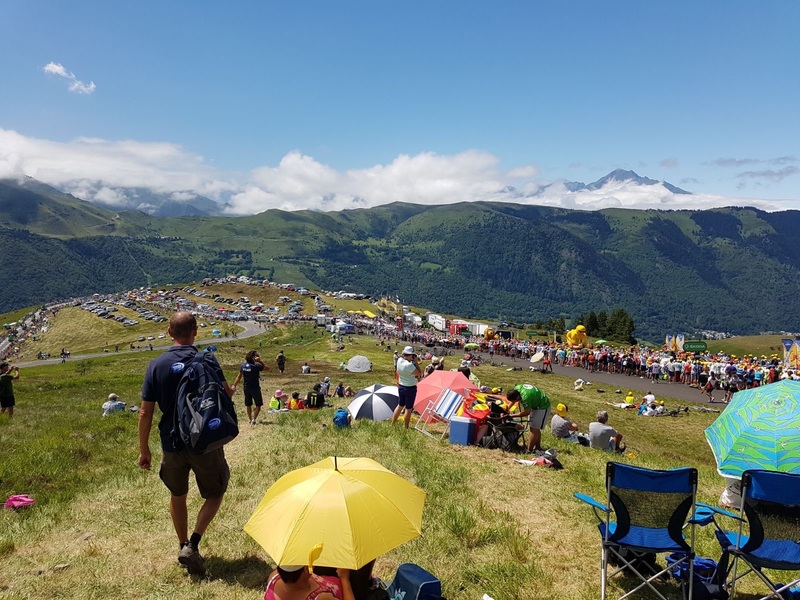 After a long, flat section through the Tarentaise valley the final climb of the 2019 Tour de France is up to the ski resort of Val Thorens. The climb up to Val Thorens, Europe’s highest ski resort (2,365 metres) is not the main road up but it’s the D96 from Salins Les Thermes next to Brides Les Bains. 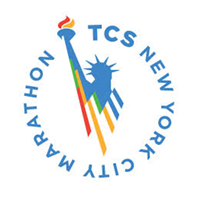 The steepest kilometre is nearer the top with maximums of 9.1%. 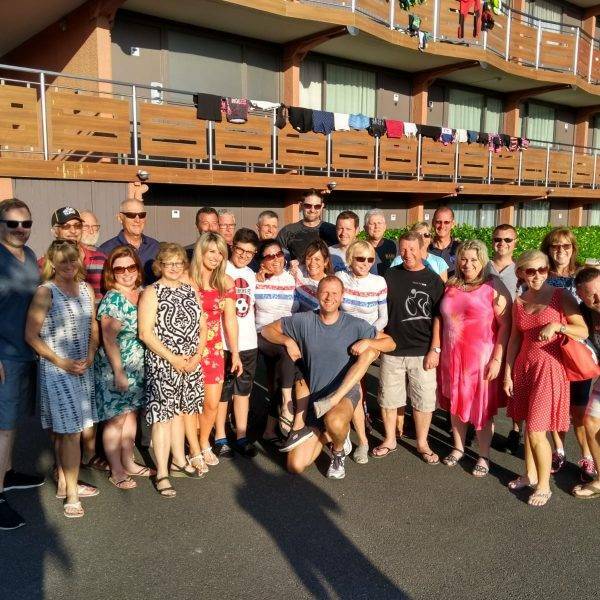 If you arrive making your own arrangements, please be at the airport to meet the group bus, or meet us at the hotel in Avignon. Please arrange your own flight to Paris Charles de Gaulle airport. Our transfer will depart at 10:30, so please book a flight that lands before 09:00 this morning. 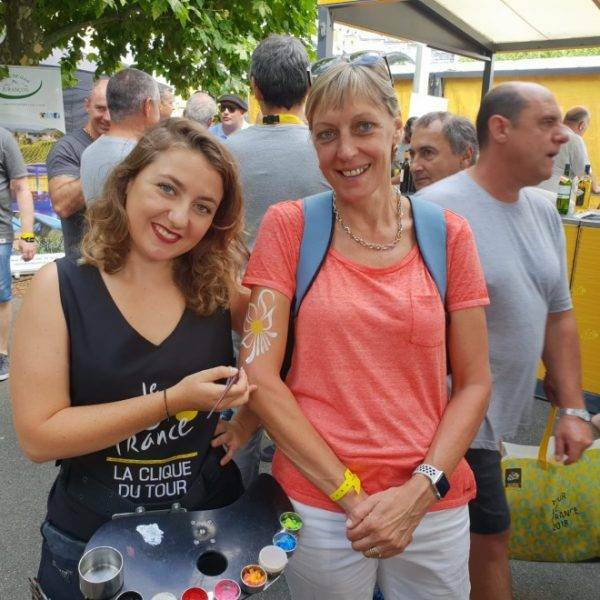 We will meet you on arrival and as soon as the whole group is there, we will take the TGV from Charles de Gaulle airport to Avignon and the first hotel on our tour, the Ibis Styles. Your luggage and bike boxes will be transported separately so you can travel light. On arrival at the hotel we will assist you with getting your bikes ready and if you have rented a bike with us then it’s available this afternoon as well. During this evening’s meal we will take the opportunity to go through the programme of the days to come. 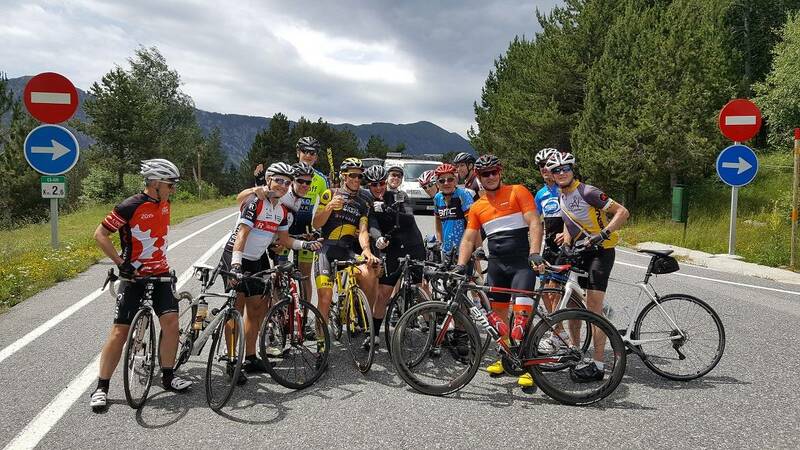 This is also a good opportunity to get to know your fellow group members and your bike guides and hosts. 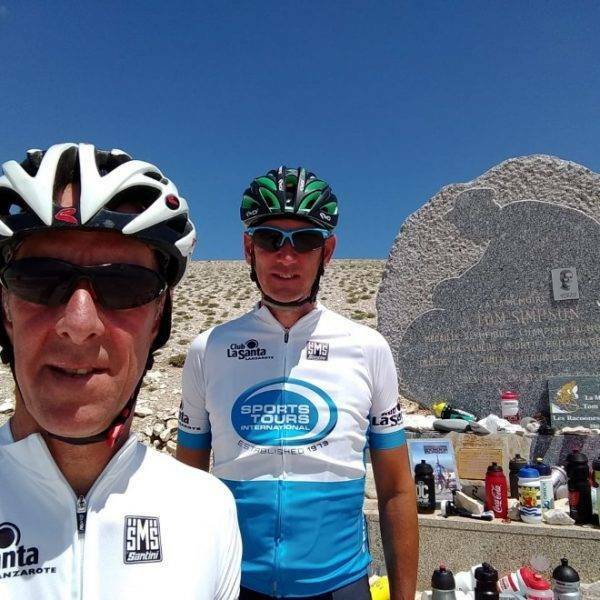 For the cyclists we offer a guided ride of the Giant of Provence, the Mont Ventoux today. Even though it doesn’t feature on the race route, we wanted to take the opportunity to scale this iconic mountain. 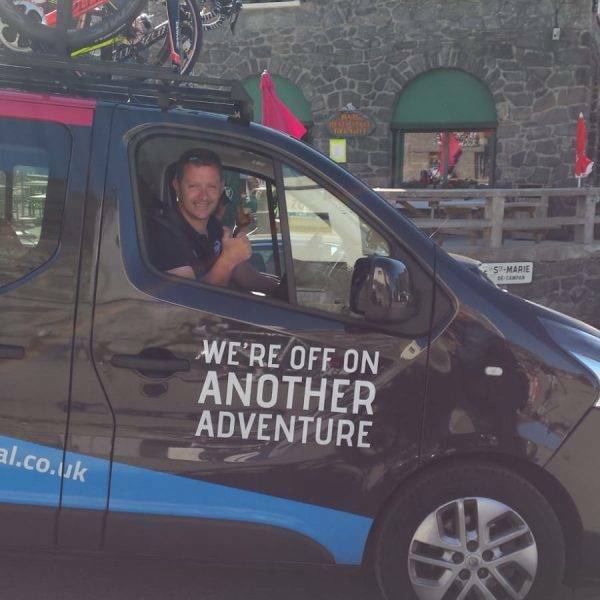 Our guided rides are fully supported and planned by our bike guides and can be shortened and lengthened based on your needs. 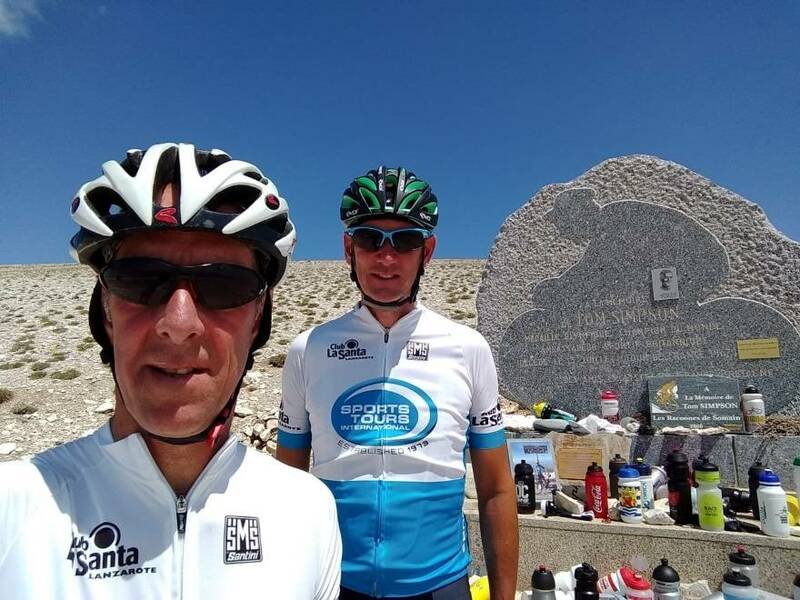 Today we will take you on another guided cycling day in the stunning Provence. 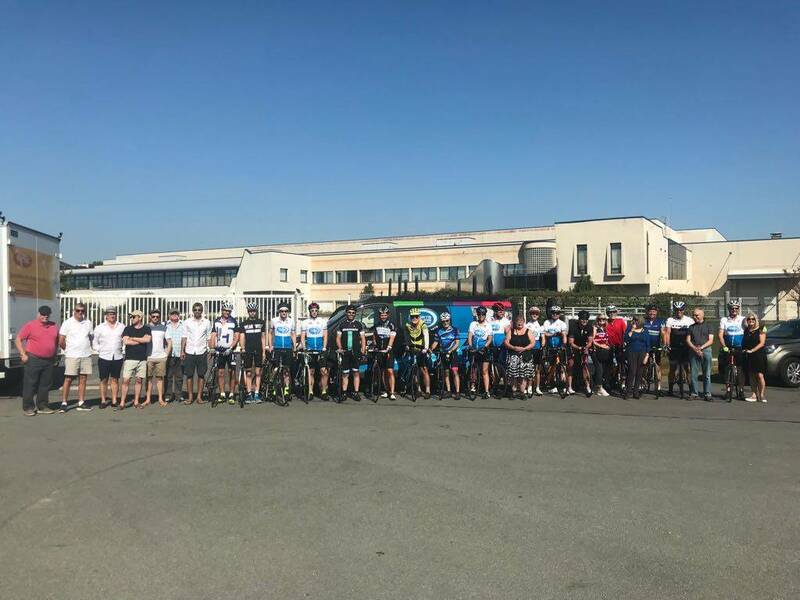 Today will see a loop around Nimes and the peloton will have the very special privilege of riding on the Pont du Gard, an ancient Roman viaduct. 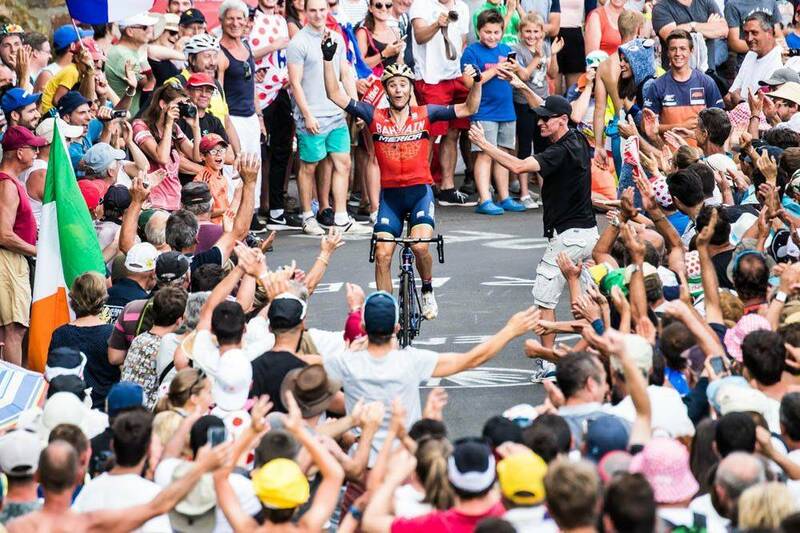 A bunch sprint in Nimes is likely. 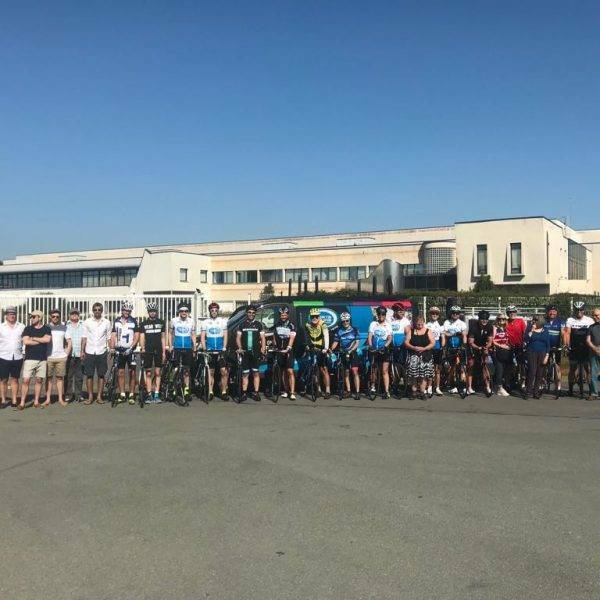 We are based in Avignon and today we will lead the cyclists out of Avignon for a guided ride before watching the finish in Nimes. 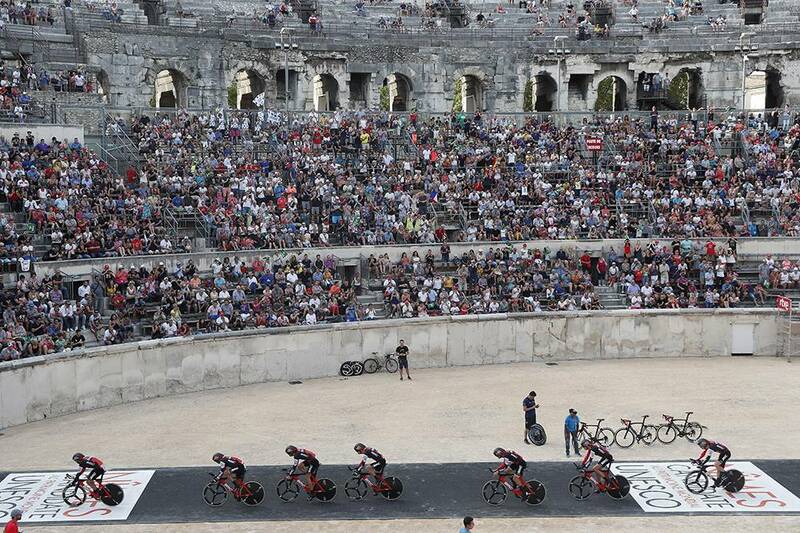 We suggest that the spectators take the opportunity to explore Nimes today. 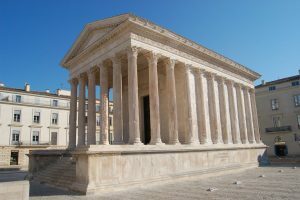 The city is renowned for its remarkable ancient Roman monuments such as the Arena and the amazingly preserved Roman temple, the Maison Carrée. The palpable presence of its ancient past has earned the city the moniker “the French Rome”. 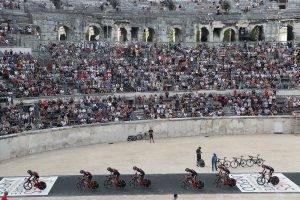 We expect Nimes to be bustling with Tour de France related activities so it will be a great place to explore. 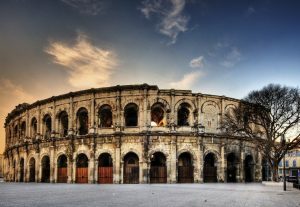 Built at the end of the 1st century AD, the Arena of Nîmes may not be the largest amphitheatre in the Roman world, but it is without doubt the best preserved. In Roman times, it was used to stage gladiator fights. Today, the amphitheatre provides a spectacular setting for performances ranging from concerts, operas, sports events, bullfights and Camargue bull racing. This breathtaking Roman temple is among the best preserved in the world. The temple was built at the beginning of the 1st century AD in honour of the adopted grandsons of Emperor Augustus, Gaius and Lucius Caesar. Over the centuries, the temple later served as a meeting hall for consuls, a church and a museum of ancient art. Some of the hotel’s rooms overlook this beautiful example of classical architecture. 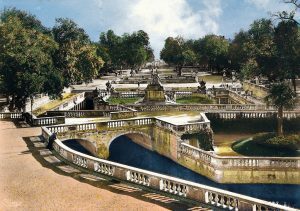 This lovely green space was one of the first public parks in Europe. It was created in the 18th century on the ancient Roman site situated around a spring and includes Roman constructions such as the Tour Magne, a hilltop tower, and the Temple of Diana. 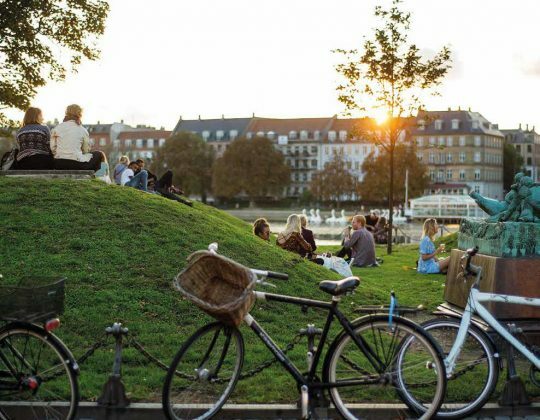 Only 200 metres from the hotel, the park is an ideal place for a stroll and a favourite spot for local residents. 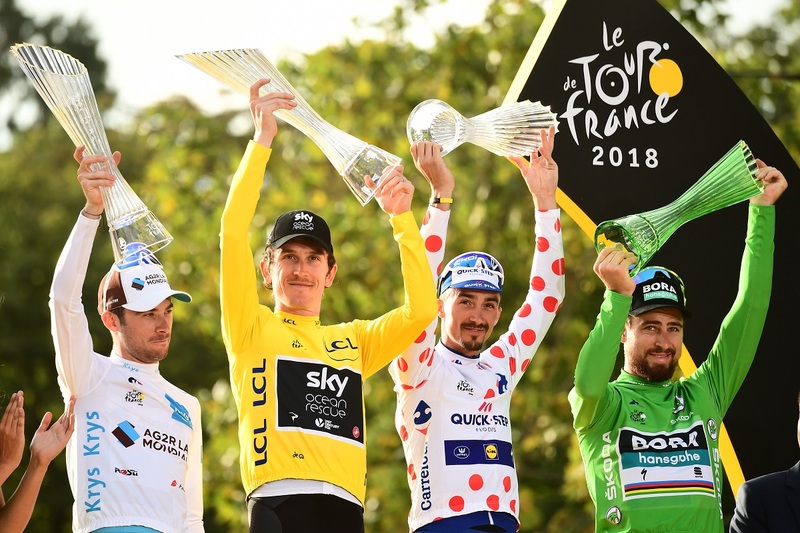 The stage sets off from Pont du Gard today and will also visit Orange and Vaison-La-Romaine for an ancient Roman themed stage. After 206km the finish comes in Gap. We have a full day ahead of us today. After an early breakfast, please have all your luggage ready as we will move on to our next hotel this evening. We will make a stop on the way in Gap for the finish of today’s stage. 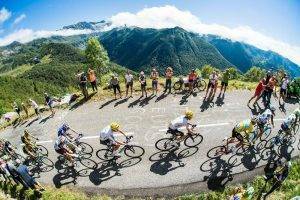 Today the Tour de France comes within range as the finish of today’s stage is in Valloire after scaling the Col du Galibier from Embrun. 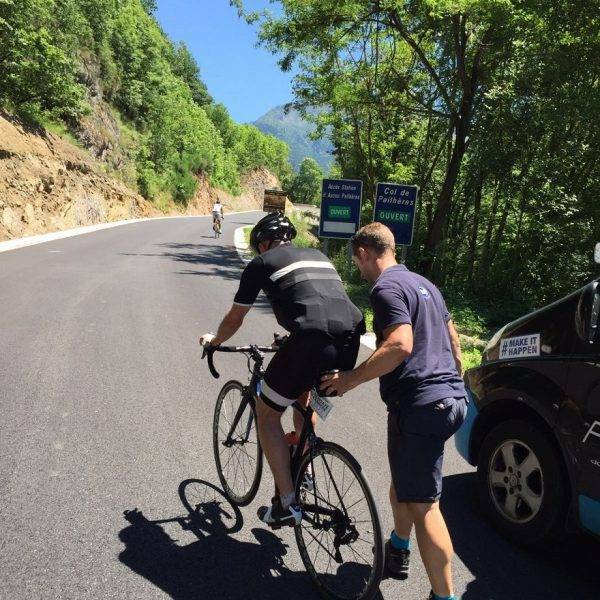 We offer a fully supported ride today to Valloire to watch the finish. 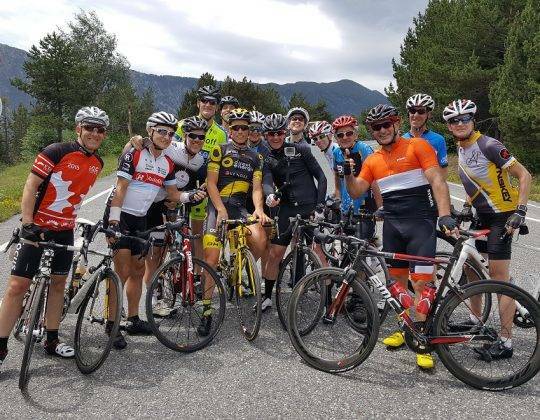 From Brides Les Bains we cycle to Moutiers from where we have a short warm up ride before we tackle the Col de La Madeleine from La Lechere which brings us into the Maurienne Valley. 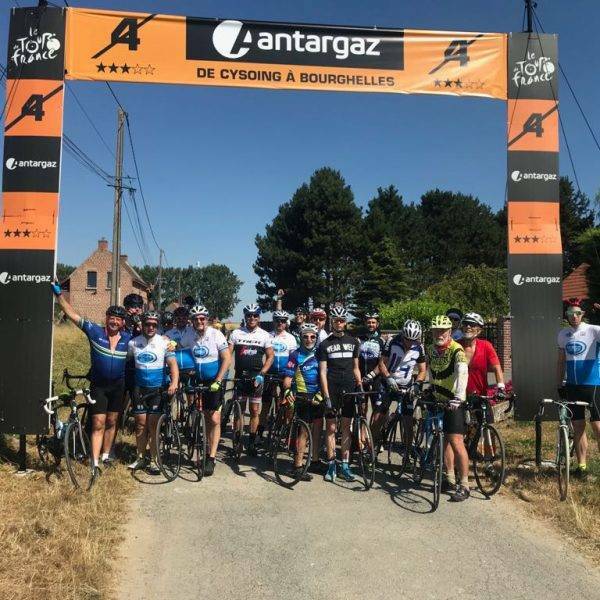 We then ride the fairly flat valley road to the top of the valley and we will tackle the Col du Galibier which takes us right up to Valloire. 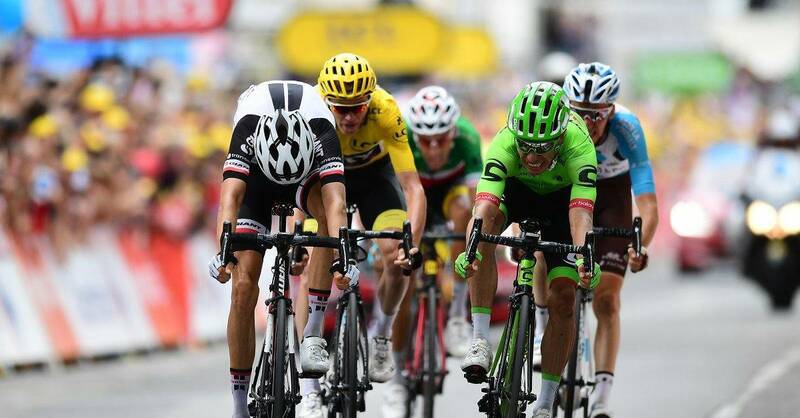 The riders of the 2019 Tour de France will finish in Valloire but from the other side today. 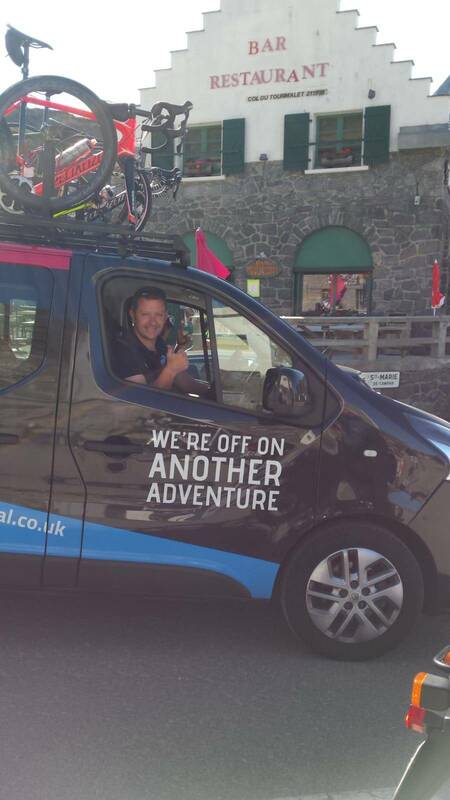 This is a tough 75km ride but it is possible to cut it short and make use of our support vehicle. 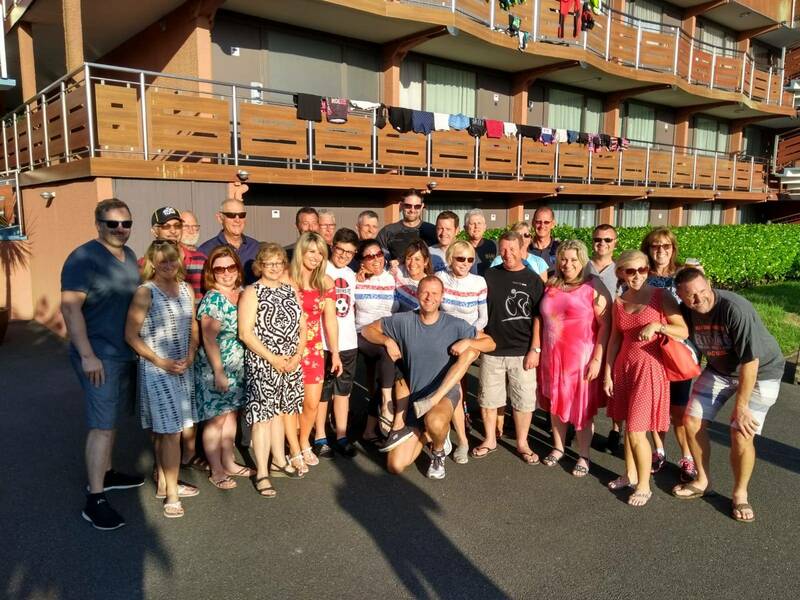 After the finish, we will provide transport back to Brides Les Bains where we will enjoy the hotel facilities and evening meal this evening. 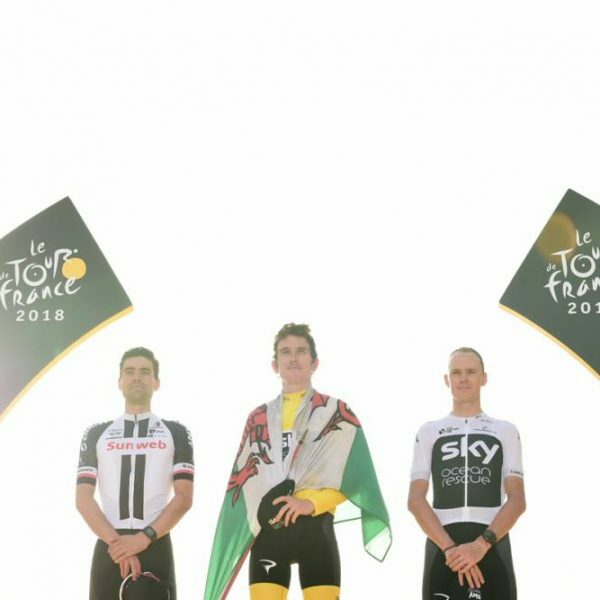 The next Alpine stage will start from the town of Saint Jean de Maurienne in the Maurienne valley and finish in Tignes, a popular French ski resort at the foot of the Col de L’Iseran just a few kilometres away from Val d’Isere. 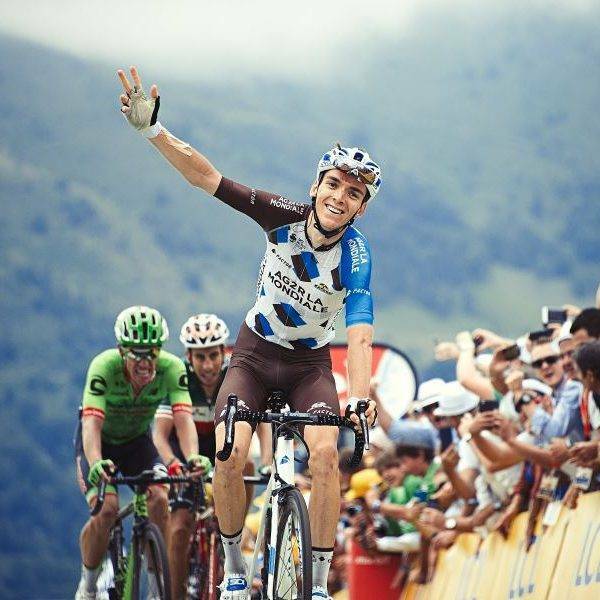 The riders of the Tour de France will climb the Col d’Iseran from the valley which comes into Val d’Isere before the finish in Tignes. 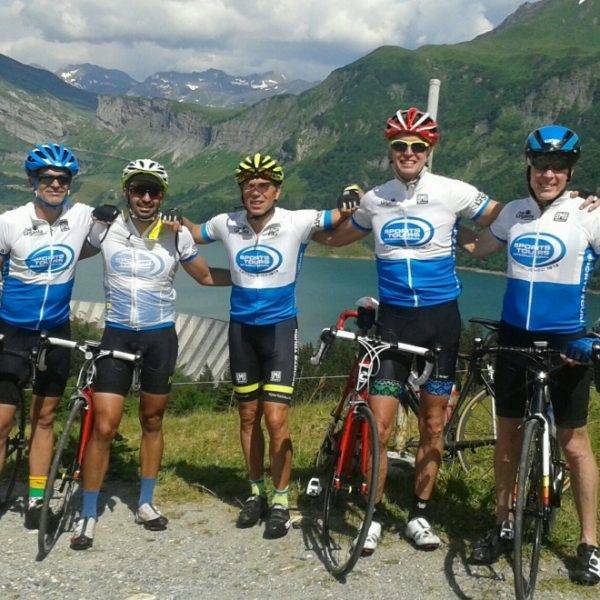 Cyclists can join us on our guided ride to Tignes today and spectators can come with us on our tour vehicle. 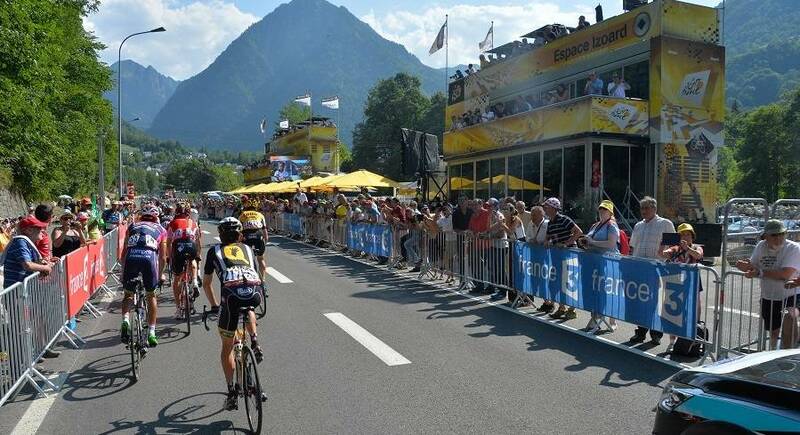 We will take you to Albertville from Brides Les Bains and we will ride part of the final stage of the Tour de France. 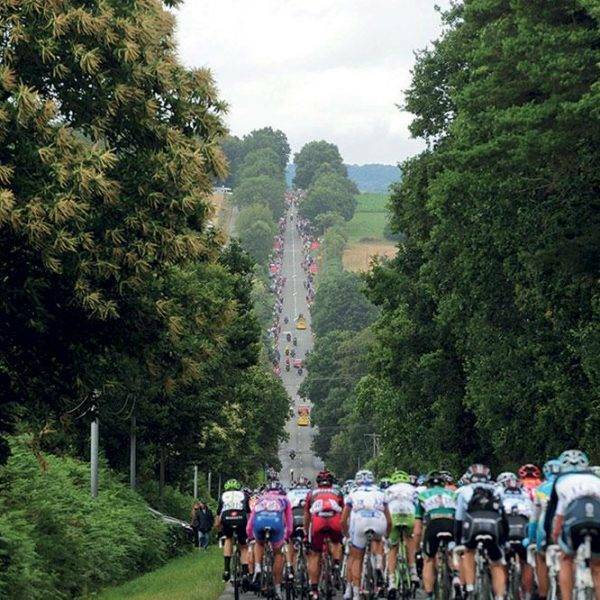 This stretch of road also featured on last year’s Tour de France. 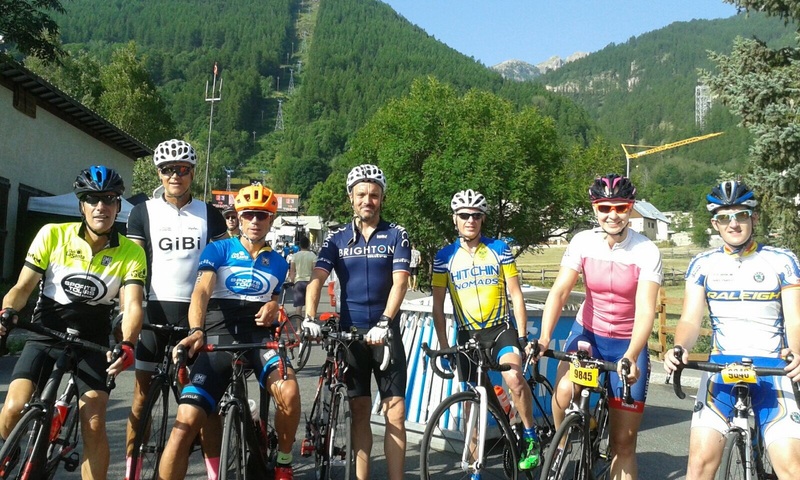 We will climb the Cormet de Roselend from Albertville and then descend into Bourg Saint Maurice. 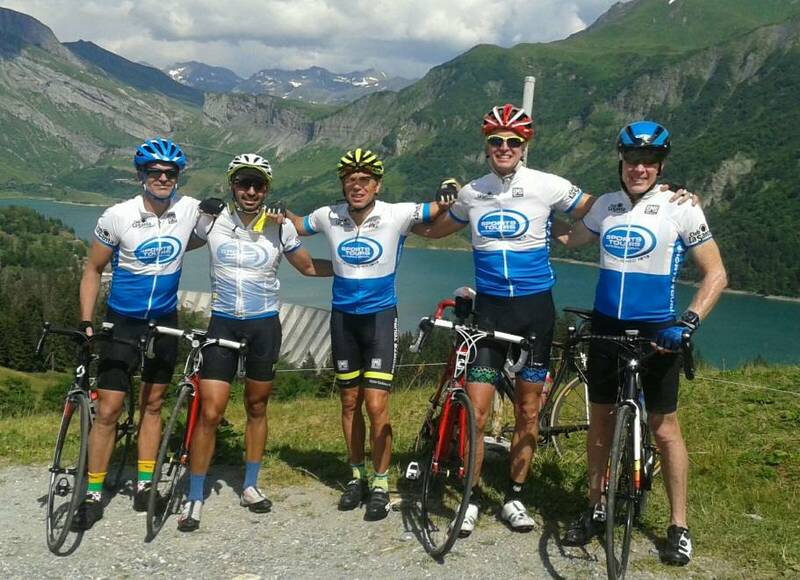 From Bourg Saint Maurice we climb all the way up to Tignes ahead of the finish of today’s stage. 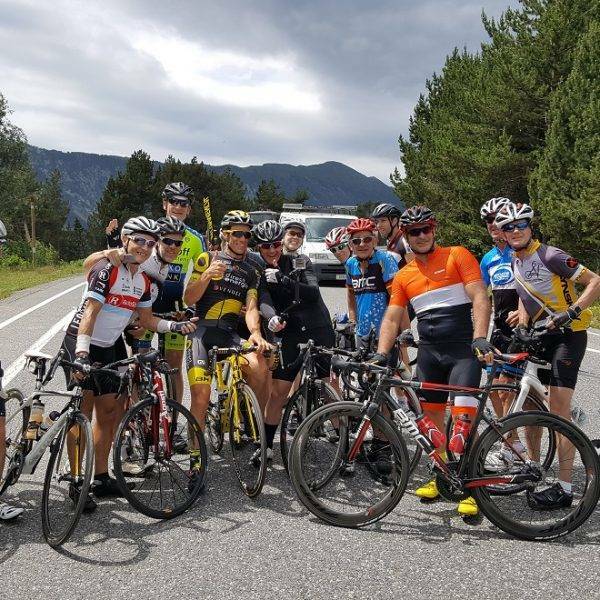 This a 90km ride and you will be supported by our bike guide and our minibus. 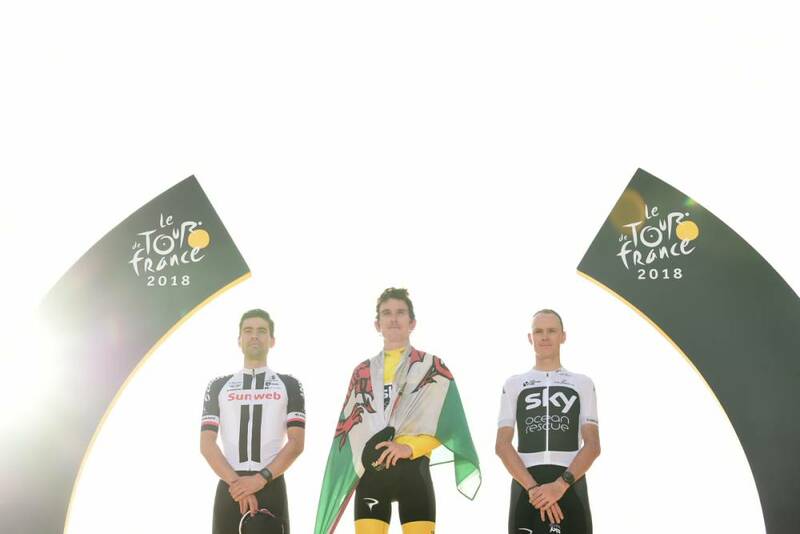 Today is the day; the final stage of the 2019 Tour de France. 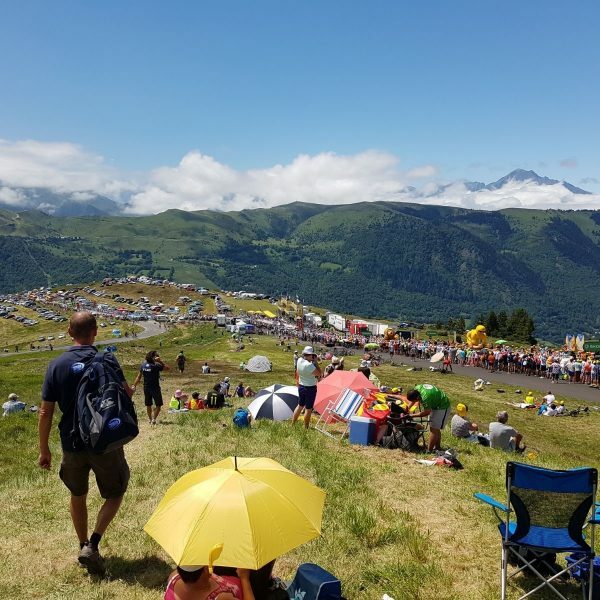 We expect a very busy day so we will provide transport early up to Val Thorens where the winner of the 2019 Tour de France and the 100th Yellow Jersey will be crowned. 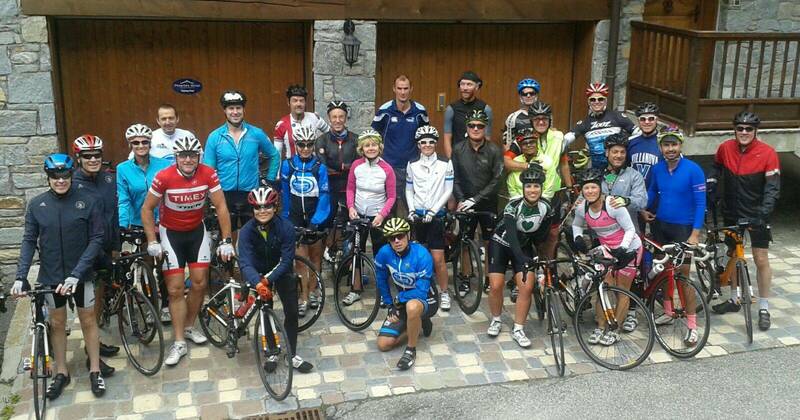 The riders can join us on our guided ride to Val Thorens this morning. 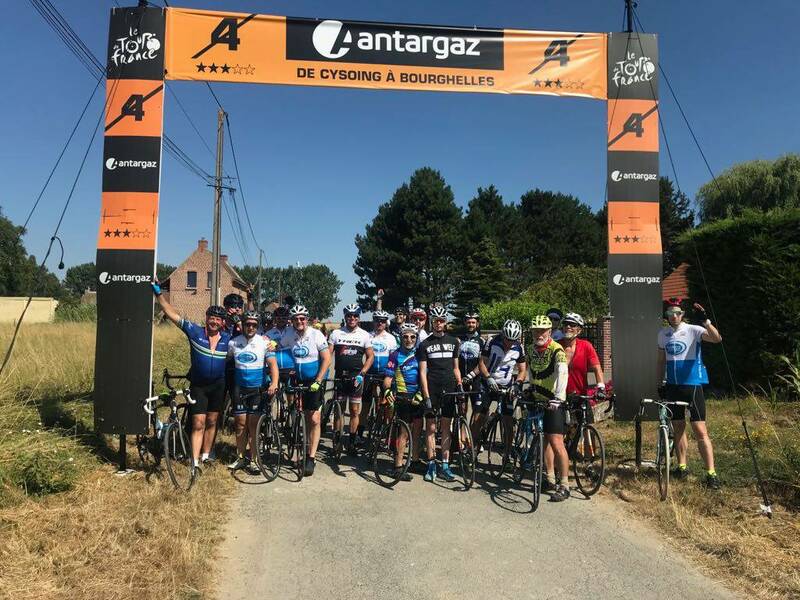 We will ride out from the hotel to Moutiers and to the penultimate climb of the day, the Cote de Longefoy before tackling the final climb up to Val Thorens. 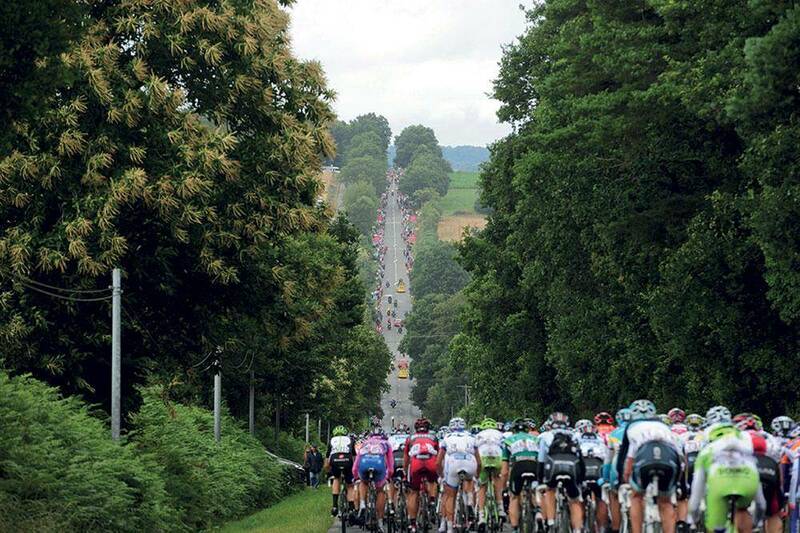 We will watch the finish and the cyclists can descend back to the hotel after the finish. Spectators will be able to take our transport back down. 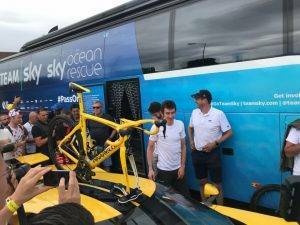 This evening, you will have your bike boxes available at the hotel so you can pack them back into the boxes ready for travel tomorrow. This evening, we will stay near the airport. Your luggage and bike boxes will be delivered straight to the hotel so you can travel light today. We are staying near the airport so depending on your flight times, please make your way to the airport. 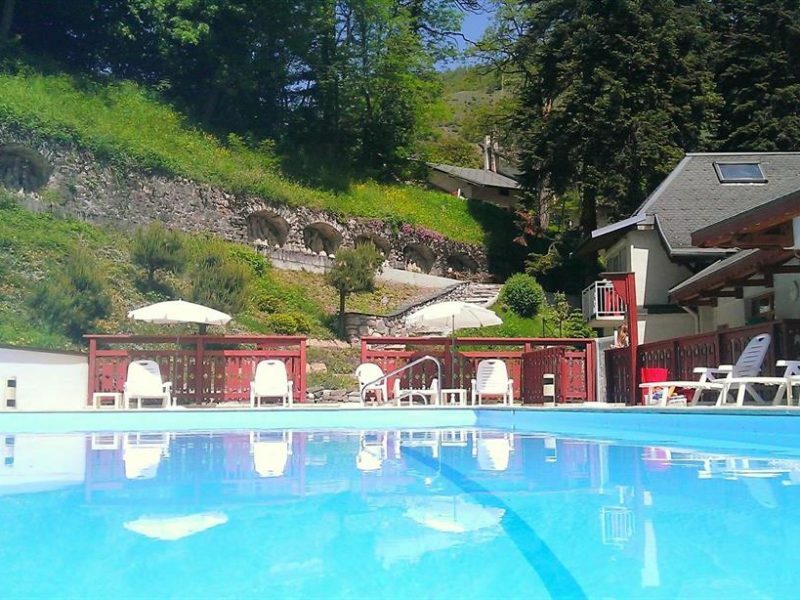 Located in the shadows of mulberry trees, the hotel is a peaceful haven, a perfect place to relax and enjoy your stay in a friendly environment. 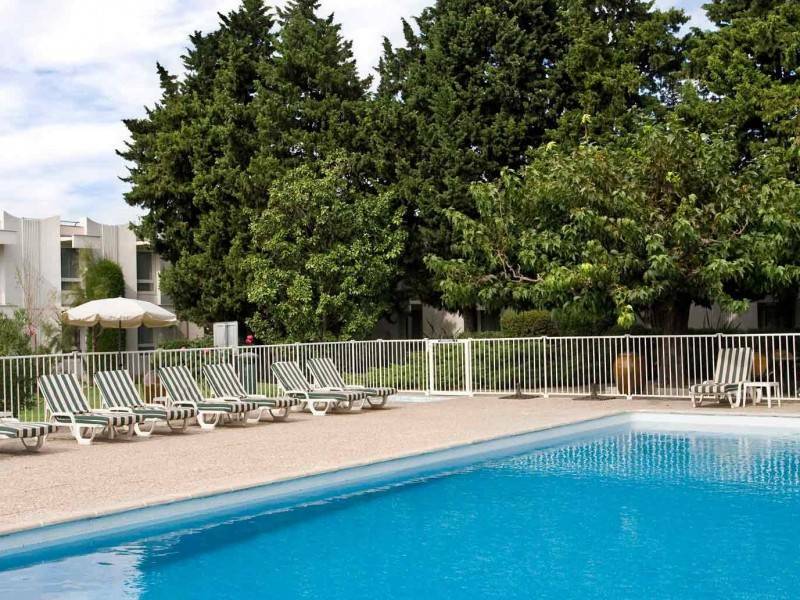 7 minutes away from the Cap Sud shopping mall and cinema and close to the bowling alley and ice rink. Breakfast and unlimited WIFI are included and all rooms are spacious and air-conditioned rooms. The hotel is located 3.7 miles (6 km) from the city centre, at the entrance to the old town and ramparts. Free indoor car park, terrace, pool and garden. Bar, restaurant with traditional cuisine. In the heart of Provence. Near major highways, airport and Avignon SNCF and TGV train station. Hotel NON-SMOKING throughout. 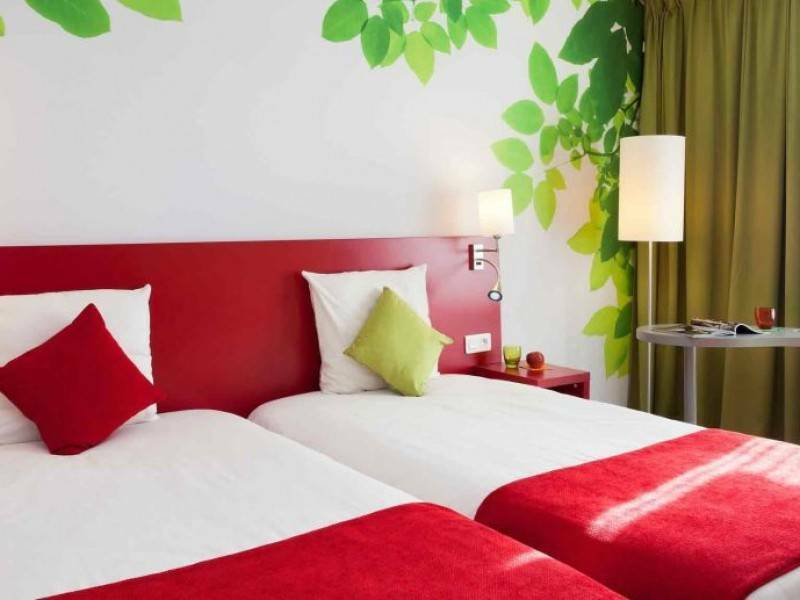 All rooms have beds with duvets and anti-stress pillows, LCD flat-screen TV with all connectors (PC, iPod, MP3, video game consoles), TV package with all the main channels and air conditioning. There is Wi-Fi in your room and High-speed Internet in your room. Iron at reception and bathrooms are fitted with Bathtub and Hair dryer. LES CHALETS*** is well located in the heart of the to access all the 3 Vallées: Méribel, Courchevel, Val Thorens. Although renowned for its winter sports the 3 Vallées is growing in popularity each summer for its range of summer sports. 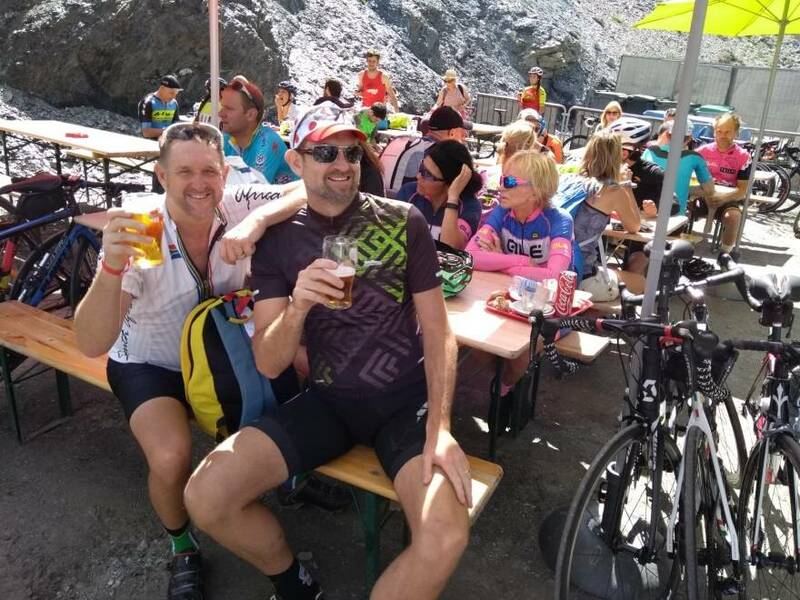 Les Chalets offers a warm and friendly welcome, comfortable bar perfect for relaxing after a long day in the saddle. Access to the swimming pool and wellness activities is included with your stay. All the rooms are all clean and airy 2, 3, 4 bedded rooms and have en-suite bathrooms (with wc, shower). All rooms have satellite TV, direct dial telephone, safe, hairdryer and internet connection. Most also have a balcony. Your stay here is on Half Board basis, with breakfast and evening meals included.